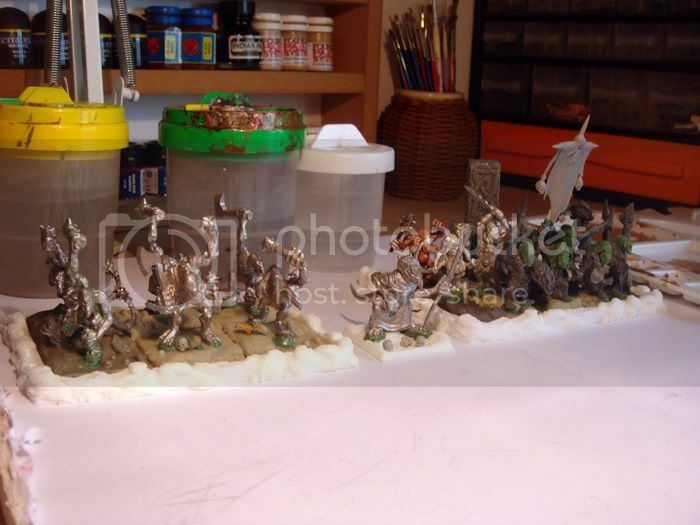 I'm almost done with the assembly of the first fimm warrior unit. I've decided to include a filler in each unit to add a bit of atmosphere (and because it means I have eight less fimir to sculpt). People have differing opinions of fillers, most folks think you need to have unit models on the filler, but I don't think this is always necessary as long as it serves to promote the theme of the unit. To that end, I've finished this swamp filler. It's a standing stone slowly sinking into the fen with two ravens flying through the scene. 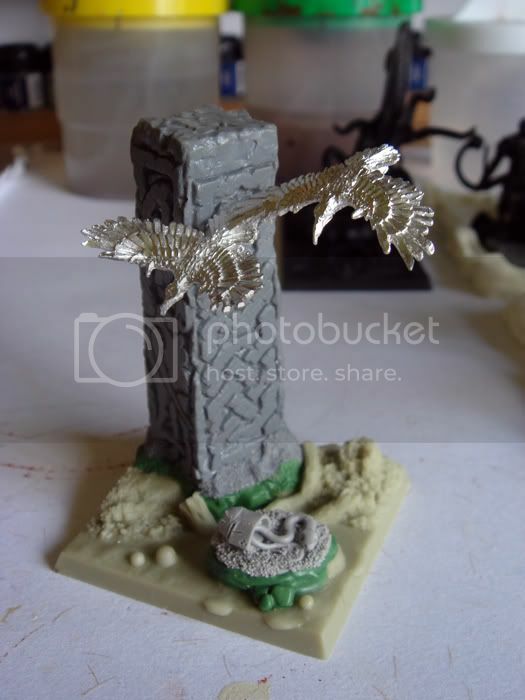 I plan on adding another raven to the top of the standard bearer to make it look as if a group of ravens are flying over the unit. 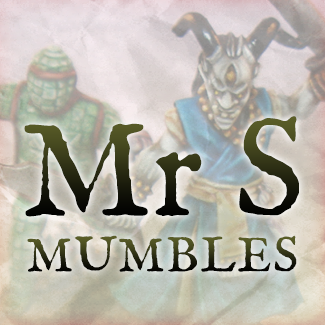 Here's a little side-project I've been working on between other stuff. 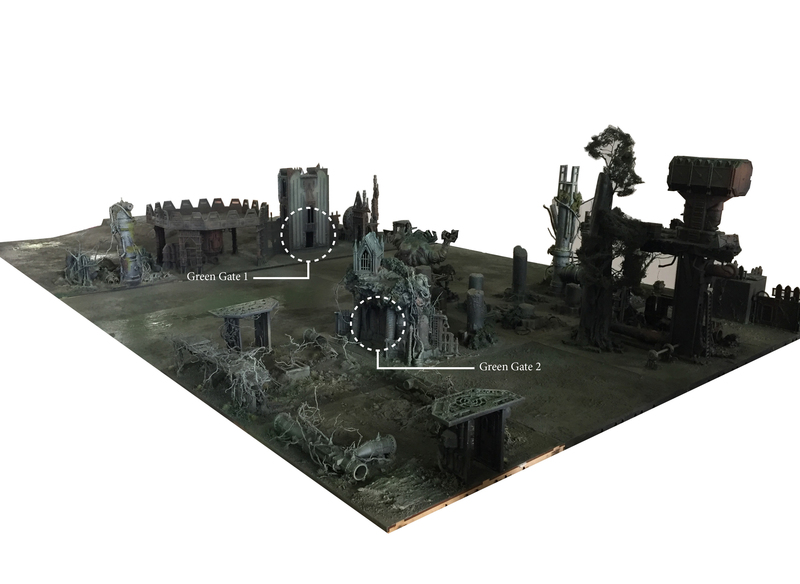 It's a scenery piece that's been conspicuously absent from my terrain set, so after nabbing it on for almost nowt on ebay, I painted it up in stops and starts over a few evenings. 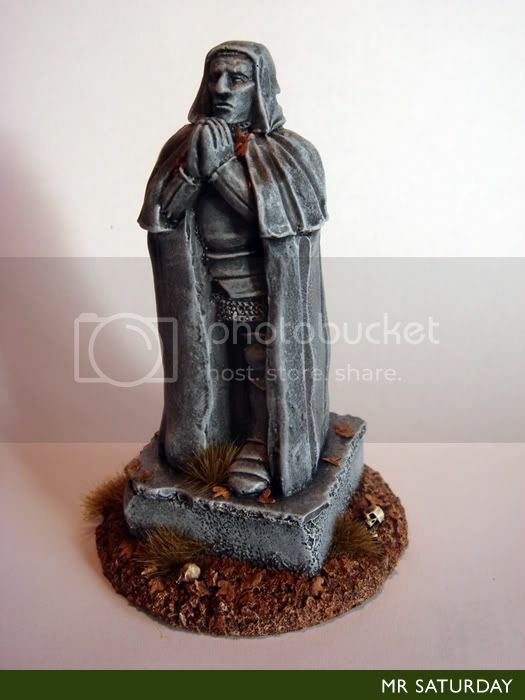 No more proxy statues for me! Storm of Magic - Fimir?! Well knock me over with a feather. It seems you can summon fimir in storm of magic. Which means new rules. 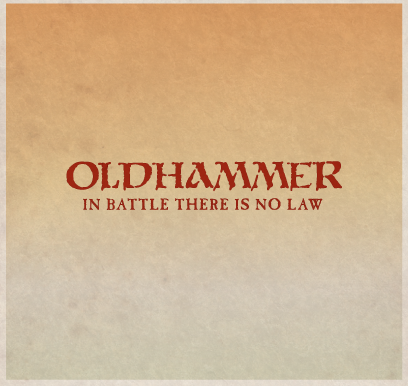 For the first time in many editions, the old one-eyed monsters are legally walking the warhammer world again. I guess this means the end to the theory that the fimir were in the process of being utterly excised from the warhammer mythos. GW has taken ownership of them again with a vengeance. Could this mean, (the excitement is blinding me) a new model? Many a plastic set even? Even if they merely re-issue the old Nick Bibby fimir, I would be ecstatic. Only in my wildest dreams did I consider such a thing. 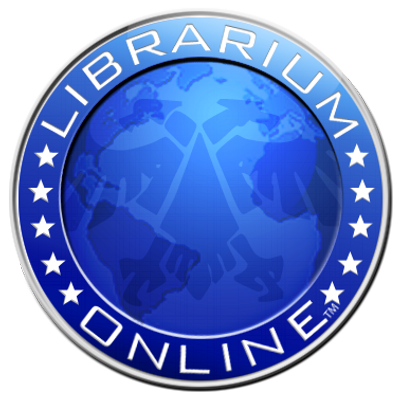 If only for this, storm of magic gets a thumbs up from me. Having been deluged in Storm of Magic images and information today, I have to say I'm cautiously optimistic. It's hard not to get swept away by the 'Ooo! Shiny!' factor, but I am genuinely intrigued. What can be in all those pages? At half the size of the main rules, surely not everything is fluff and magic rules? I have heard a rumour that there are expanded building rules in there too, which would be nice, as the current ones are a little light I think. Then I saw the fenbeast and his mates. Wow, that is a blast from the past. I'm very happy to see the fenbeast, as I'm trying to acquire six to use as trolls in my fimir army and they were hard to come by. Seeing as the fenbeast has new rules in Storm of Magic, I'll be intrigued to read them. 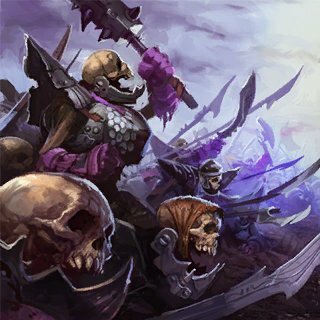 It does seem as if you can use units from other armies in the expansion. Not crazy about that, but I'll hold judgement until I see the rules. 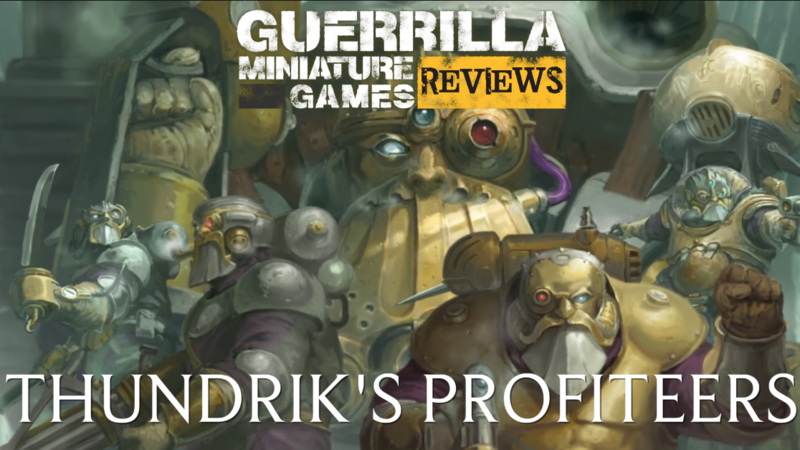 All in all, an interesting time for warhammer. Let's hope it doesn't go the way of that other storm expansion. Slayer army, anyone? The bileworm arrived today from Gribbly Miniatures. (Thanks for the link Dreadaxe) It's fantastic, it'll make a perfect addition to the various worms and giant grubs that are beginning to infest the fimir army. 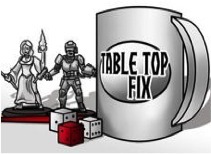 I'm very happy with this theme, it'll look pretty great on the tabletop I think. This fellow is probably destined to become a mount for a fimir hero. I have some ideas for how he stays on, mostly involving hooks. Looks like I'll be picking up the savage orc boar boys after all. 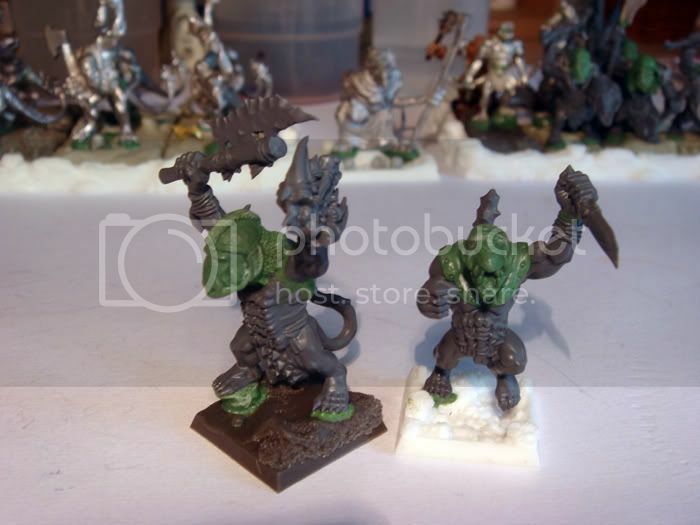 The orcs will be converted to mounted fimir where I need them, and the boars will be the basis for conversions to chaos dwarf boar centaurs. How's that for looting a kit! Phew. Finally, I have Crom assembled. He was a complete stain to put together. He's actually a Cthulhu miniature from Rafm. You can see him here. Looking at the model, you might wonder how this is the case, but that tentacle assembly was a bit fiddly. There really isn't a clear slot for the three tentacle sections to fit together, and the assembled tentacles (once I pinned the hell out of them) only have a thin slot that sits into the mouth, leaving a massive gap, so I had to sculpt in some more tentacles to fill the gap and hold it together. Poor show, assembly wise, but it does look great once done. As I mentioned before, he's going to represent a hellcannon in my list, so he needed three crew. I had considered fimir with prodders and nets, but this doesn't really fit with the background. No fimir would dare prod Crom, it would be akin to goblins prodding the Balrog into battle. 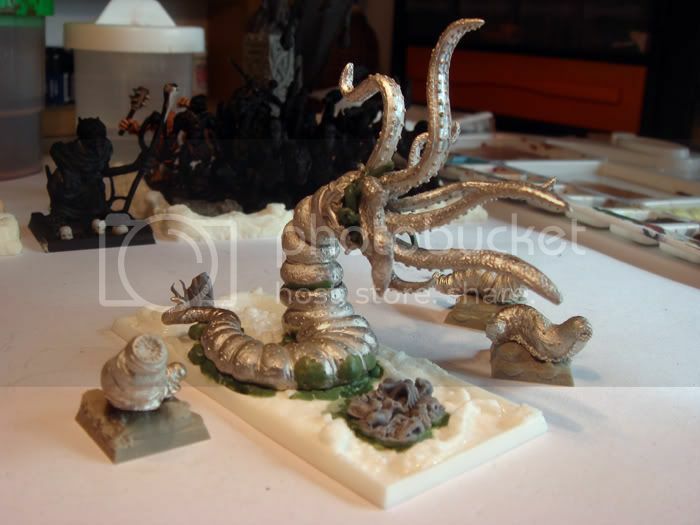 So, after some searching, I found some great giant grubs from Heresy, who will look great sludging along in Crom's wake. 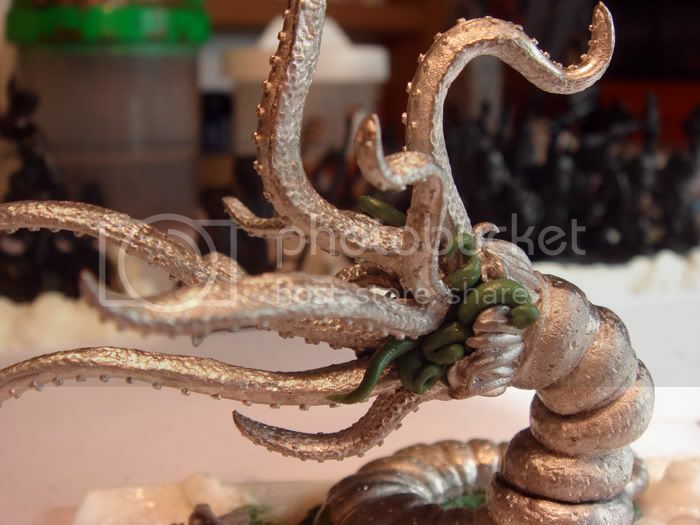 I also plan on adding some drooly slime to the tentacles using clear glue or some-such. A friend of mine sent me this today, it's gold. 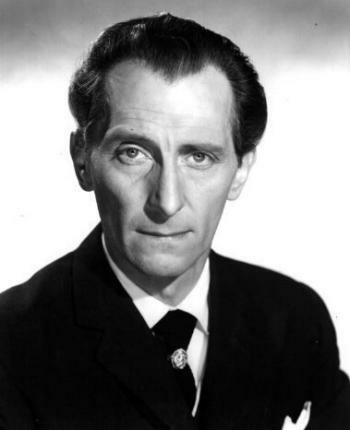 Peter Cushing was quite the wargames enthusiast, by all accounts. Hark back to a time when wargames were enjoyed by men (and only men) smoking pipes and possibly wearing a cravat. Great stuff, and the voice-over is hilarious. On another note, I should have an update for the fimir tonight, Crom, the great worm! I took my chaos dwarves out again for the Saturday tourney, but the wee lads only managed a loss and a draw. I love that Kolossus, but he just doesn't cut the mustard. (bloody cannons) Inferno golems performed poorly, but they got caught out rotten in both games. The obsidian guard did mighty though, cutting down all in their way. I guess I'll probably be giving the new Tamurkhan list a go soon, so I won't be spending any more time on the evil stunties until I get my hands on the book. The Sunday game was a little stilted, but I had a great time hurling dwarf bodies from the ziggurat my vampires were defending. Good times. Disastrous, though entertaining, nine of my obsidian guard got cooked as the got caught in a boiling flood on turn one. The Kolossus battering a large saurus unit almost to death before being toppled, giving the obsidian guard time to finish the job. The wight king decapitating the tooled-up dwarf lord at the top of the ziggurat. I love killing blow. The absolute dedication of my opponents to destroy my annihilators at all costs. A lone dwarf lord ALMOST finished a bloodthirster. One wound was all he needed. Watching the vampire lord just wade through all opposition. I used the kit from the vamp in Unseen Lerker 8. Nice one! Howdy folks. 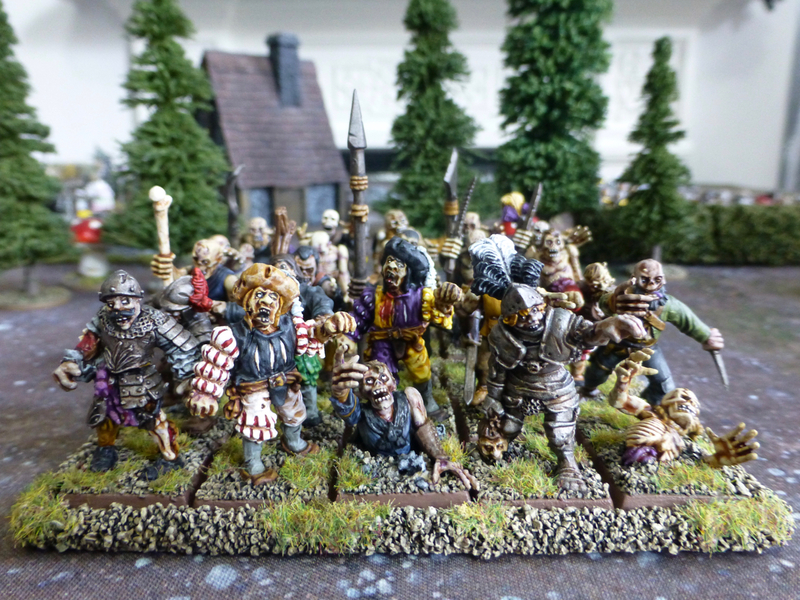 I'm back from a lunchtime spent undercoating fimm warriors. It's nice to see the models with a unified colour on them so I can really gauge how successful my green-stuffing has been. So far so good. At this stage, the army is about one third assembled, so my thoughts are turning to expanding the force beyond the 2000pts I've set myself. I'm being quite disciplined, not working on other armies (my chaos dwarves and vampire counts are positively glaring at me) and spending at least an hour every day working on them. But what to use them as? Some kind of daemon the fimir have summmoned mayhap. Fimir are generally not allied to chaos, so I have free reign. Perhaps I could use them as forsaken or chosen. Hmm. I'm concerned with having too much non-fimir elements to the army, as then it just becomes a crazy hodge-podge force, but a little carefully placed madness here and there will only make the army more interesting. 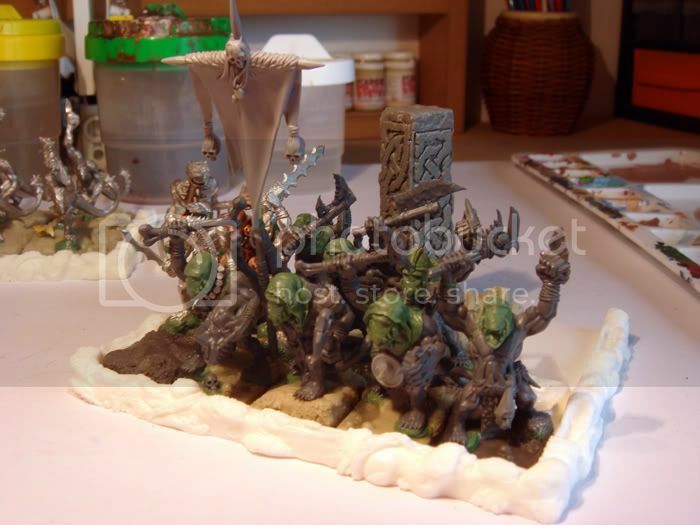 I have the inklings of an idea for a mount for a fimir mist mor (hero) using a chaos spawn converted to look like a warped fimir (if you've ever read Slaine from 2000ad you know what I mean) with ogham stones embedded in his back for the hero to cling onto. This could run as a lord/hero on daemon mount. As you can see, the problem I'm having is reigning it in long enough to get the first 2000pts done. That said, any opinions or ideas for fimir units or characters that fit the Warriors of Chaos list you have, lay it on me! Ah well. Anyway, I had considered a paint carousel, but they are little expensive, and I think slightly unwieldy, as well as taking up a lot of room. 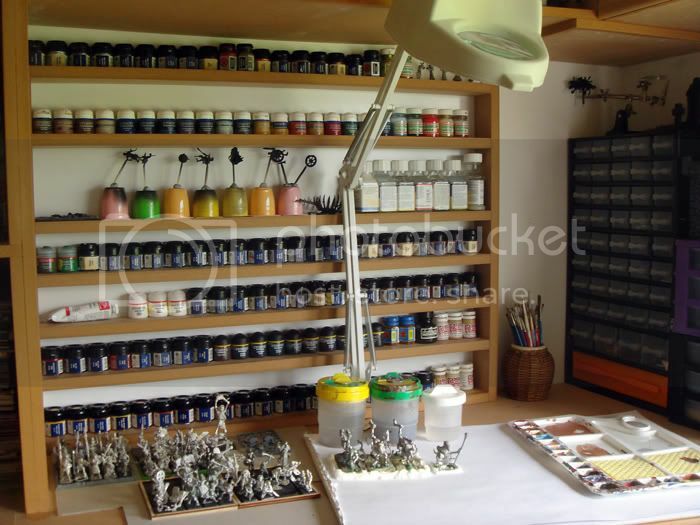 I dumped this notion, and after reading the afore-mentioned blog, designed my own paint shelves in vector format for accuracy, and sent the eps files to a mate of mine who has access to that most magical of machines, the industrial router. He knocked out the shapes in mdf and skybond (plastic sandwiched between two sheets of aluminium) and I screwed them together and sealed the mdf. All this cost me the grand total of zero, which is groovy with me. I still have to paint it, but now at least I can see ALL my paints, which is unbelievably handy, and looks pretty smart too. I did find out I had three pots of regal blue, how did that happen?